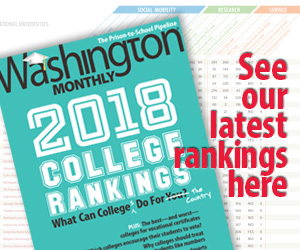 Washington Monthly | Take That, Bloggers! TAKE THAT, BLOGGERS!….Jonah Goldberg reports that CBS has modified the PDF file of its Rathergate report so that you can no longer cut and paste text from it. As it happens, I downloaded a copy of the report to my hard drive when it first came out, so I was able to check up on this. Sure enough, I can copy text from the original report but I can’t from the version that’s currently on the web. Like Jonah, I’m struggling to figure out a non-petty reason for this. Both versions are the same size, so it wasn’t revised to cut down the filesize. And the report itself appears to be identical in both versions. So why modify the document solely to make it harder to excerpt passages from it? That’s a stumper, all right. And who gave the order?